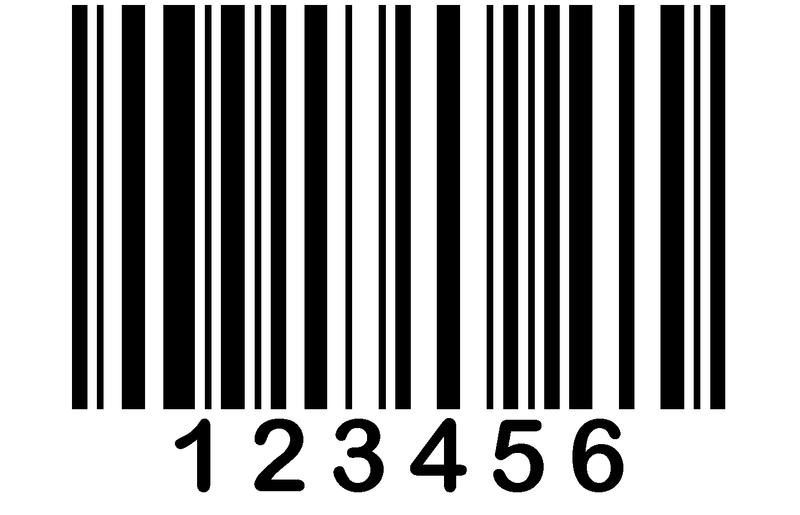 The term "barcode" is usually used to refer to a symbol that represents data in a form that is easily read by a computer. Barcodes come in a variety of formats. Most barcodes in use today are linear, or 1D barcodes. They appear as a series of vertical lines, and both the lines and the spaces between them vary in width. 2D barcodes appear as a series of black squares on a white background. They are becoming more common, but are very specific in their application. Click here to answer the question "Should I use 1-D or 2-D Barcodes?" 1D barcodes come in a variety of symbologies. These symbologies work in same way as fonts in a word processing programme. Although using different fonts may change the appearance of a letter, the underlying information is not affected. So with barcodes, using a different symbology will change the appearance of a barcode, but have no affect on the information contained in the barcode. Common symbologies today include code 39, code 128, UPC and EAN. Each has their own strengths. Code 39 is an older and simpler code, 128 provides the ability to code more characters, UPC is specifically used in retailing, and EAN is coming in as a more common standard around the world. 2D barcodes were introduced in the late 1990s, billed as the next great thing in barcoding, and as a replacement of the standard 1D barcode. One of the great features of 2D is the ability to store a large amount of information, and one of the prominent claims was that the Gettysburg Address could (and in fact was often, for demonstration purposes) be stored in a 2D barcode. The market responded by suggesting that there were not many users that wanted to put the Gettysburg Address in a bar code, and the 2D barcode had only limited acceptance. The primary failing of the 2D barcode is the inflexibility of the data. Once printed, it can't be changed. Using a 1D barcode as a key to a database achieves the same affect in most applications, but with the bonus of flexibility and wider access. But two key applications remain for this product - portable data files, and small footprint. 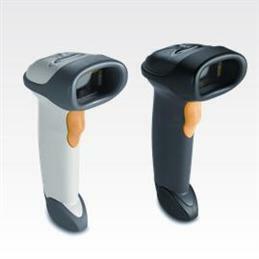 As a portable data file, the 2D barcode can be used to capture information and pass it to a remote location, closely linked to some real world item. It has been used to identify the contents of a carton, particularly of use to a book store, where a specific item is needed. By scanning a 2D barcode, a specific item can be located and retrieved. A second valuable use is that where there is limited real estate. In this case the use is a perversion of the original intent. Rather than storing increased information in the same space, 2D technology can be used to reduce the space required for a given amount of information. One item in a million can be uniquely identified by a 2D barcode that fits inside a square 4mm by 4mm. Most scanners can read all barcode symbologies, though some set up may be required. Barcodes can be read by readers connected to desktop computers or integrated into portable handheld computers. Reading technologies include laser and imager, each have their particular benefits and disadvantages. More information is available on our hardware page. Click here to answer the question "How do I choose the best barcode reader?" Hardware used with barcode technology includes barcode printers, barcode readers (for direct connection with a laptop or desktop computer) and handheld computers with integrated barcode readers. Click here for more information on barcode hardware. One of the critical elements for any system. If the barcodes are not printed correctly, the system will not work to its full potential. 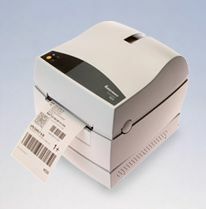 Barcode labels can be printed on many materials, including paper, polyester, fabric and metal. Demand printing or preprinted labels? Where unique labels are used, such as for asset management systems, we recommend pre-printed labels. Where items are tracked by SKU, and many identical labels will be required, demand printing is required. SageData can provide software and labels, and can advise on the most appropriate selection for your application. Barcode labels can be printed with a standard laser printer, but in most cases a specialised printer is used. Various technologies include thermal transfer and direct thermal printing. Thermal transfer is preferred for most applications, particularly where long life is required. When you are printing labels locally, the use of a barcode verifier is strongly recommended. These machines check the content of the label, as well as confirming symbology, and the quality of the print. This may be essential when the label is to be read by a third party, as in many cases, supply contracts include clauses which require fines to be paid when barcode labels are out of specification. 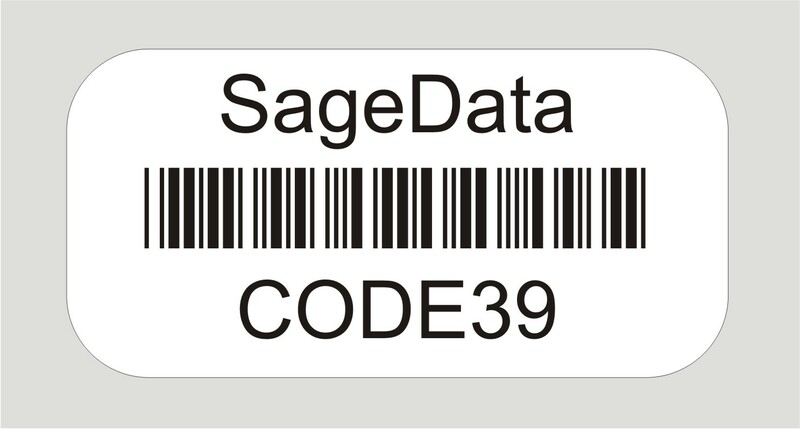 Contact SageData directly for further information on barcode verifiers. With the increased publicity around RFID (radio frequency identification), some have suggested that barcodes will be replaced by this new technology. We don't think so. For some applications RFID is an obvious improvement, but for many, the humble barcode is difficult to beat. It is cheap. It is small. It is easy to attach (and can, if required, be difficult to remove). It is easy to read, and unambiguous - you know which item you are reading. So we think that RFID and barcoding are complementary technologies. They will both continue to be used, each with their own strengths, and with an area of overlap, where either provides an acceptable solution. Not as simple as they first appear, there are many detailed issues to be considered when selecting a barcode label, whether for asset management, equipment maintenance, or to manage calibration. Click here for detailed information on barcode labels. ... and if you can't choose between RFID and barcodes, you can have both. We can provide printers that will print a barcoded label, and at the same time, write to an RFID tag that is embedded in the label. Slap and ship. Or slap it on and track your assets, folders, whatever. Barcodes, Bar codes or Bar-codes? Some folk have strong opinions on this. We think all spellings are equally good, but barcodes (as one word) is most commonly used, so that is the one that we generally prefer. NEO handheld computer with integrated barcode reader. Workabout Pro Handheld computer with Integrated barcode reader.